A new national Small Business Research Initiative (SBRI) Healthcare competition is being launched by NHS England in partnership with the Academic Health Science Networks (AHSNs) to find innovative new products and services. The projects will be selected primarily on their potential value to the health service and on the improved outcomes delivered for patients. The competition is open to single companies or organisations from the private, public and third sectors who will ultimately be capable of supplying the NHS with the resulting product or service on a commercial basis. Phase 2 contracts are intended to develop and evaluate prototypes or demonstration units from the more promising technologies in Phase 1. Only those projects that have completed Phase 1 successfully will be eligible for Phase 2. Developments will be 100% funded and suppliers for each project will be selected by an open competition process and retain the intellectual property rights (IPR) generated from the project, with certain rights of use retained by the NHS. 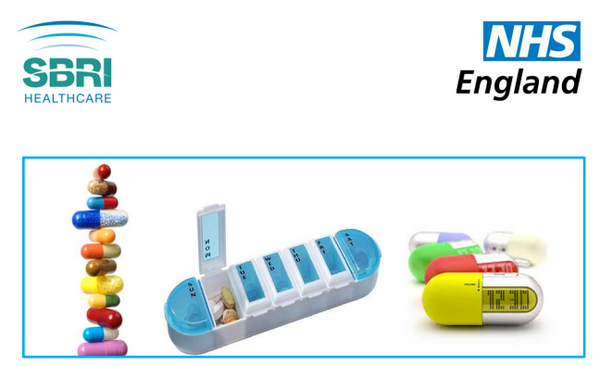 This competition theme focuses on the challenge of improving Medicines Adherence and is jointly led by West of England AHSN and Wessex AHSN. The competition opens on 19 May 2014. The deadline for applications is 12.00 hrs on 10 July 2014.